Bad Credit Home Loans in Washington | 500+ FICO Score Mortgages! We all want to own a home, but sometimes it feels like an impossible task, especially if you have bad credit. Since a credit score is one of the first things a lender looks at when determining whether or not to approve you for a loan, the process can seem hopeless as you face rejection after rejection. But there’s good news! There are many ways you can acquire bad credit home loans in Washington, and today we’re going to go through all the possible options. A credit score is an extremely important part of your home loan application. Your credit is determined by your history of credit use and how often you pay off your debts. If you make regular payments on your bills and existing debts, your credit score will go up. But if you’re utilizing a lot of your existing credit lines and you let your payments fall by the wayside, your credit score will go down. Get Help Pre Qualifying for a Washington Bad Credit Home Loan – Click Here! Another thing lenders look at when deciding whether to approve or reject your application – something which is closely tied to credit usage – is your debt-to-income ratio. As the name implies, this is a comparison of the amount of outstanding debt you have and your total gross income. Most lenders want your debts to take up no more than 40 percent of your income, but it’s possible to find a bad credit home loan in Washington no matter what your situation looks like, and in this article we’ll explain how. How Can I get a Bad Credit Home Loan in Washington? It can take a lot of time to repair your credit once it’s been damaged. It may be time to start looking at government programs that are designed to help people with bad credit or low income find housing. The unique EnergySpark program, which is designed to promote a healthier planet, will also lower your interest rate and help pay for your utility bills, though it requires a credit score of at least 620. And they also offer a number of educational services that can help you learn how to make your credit start working for you and can help you find a good home loan in the state of Washington. The United States federal government also has several programs designed to help home buyers. These programs tend to have much lower credit requirements than those offered by the WSHFC. FHA loans are still paid out by a private bank or moneylender, but they are insured by the Federal Housing Administration, which means that they have much more favorable terms than a conventional loan. FHA loans come with extremely low down payments – usually around 3.5 percent, although it might be higher if your credit score is lower than 580. They also have no minimum credit requirement, making them an ideal bad credit home loan in Washington. Read more about FHA Loans in our article here. VA loans are available to service members and veterans of the armed forces, and come with extremely favorable terms for the bad credit home owner. Because a VA loan waives all down payments and private mortgage insurance payments, they often save you thousands of dollars over the course of paying off your home. And like the FHA loan, VA loans have no minimum credit requirements, so they’re great if you have bad credit in Washington. US Department of Agriculture loans are available to those in rural areas and can be manually underwritten into a bad credit home loan in Washington. If you’ve never been in the armed forces or you can’t apply for the FHA loan, you’ll need to start looking at other options. 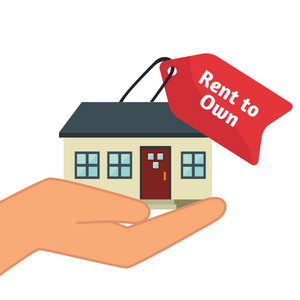 One such option is a rent-to-own contract, which is a good way to find a place to live while you take time to repair your credit and save up for a full-fledged home loan. However, you will have to make an additional initial payment called a potential options fee, which works similar to a down payment. After that, a portion of your weekly rent payment will be put towards the principal of the property you want to buy. Once the lease is up, you will be able to buy the home outright after you seek additional financing. If you’ve exhausted all your other options, there’s still hope so long as you can find someone who is willing to co-sign your loan with you. 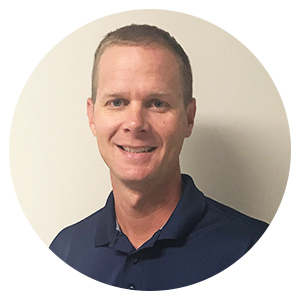 Having a cosigner with good credit allows you to apply for a mortgage as though you had the same credit score that they do, which will give you much more favorable terms and a better interest rate. However, by cosigning on your loan, the cosigner is directly tying their own credit score to your property. This is a big responsibility, so you want to ask someone who you trust like a close friend or family member. The preferred choice for first-time home buyers in WA is the FHA loan, which is actually the most popular form of home loan in the country! Thanks to its very low down payment and non-existant credit requirements, an FHA loan can make home ownership a much more realistic possibility for buyers with bad credit and/or who have not had time to save up for an initial payment. 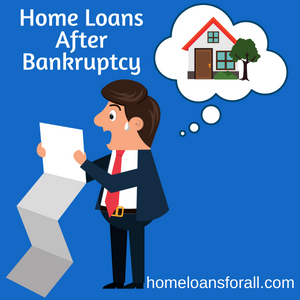 If you have had a house move into foreclosure or you have ever had to file for bankruptcy, your credit score will have been seriously damaged. Conventional mortgages will require you to wait 7 years between filing for bankruptcy and applying for another loan. 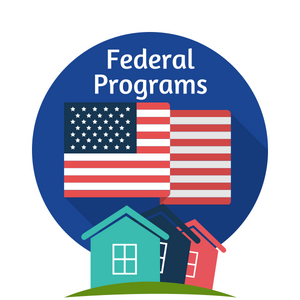 However, the federal programs we listed above have much shorter waiting periods. FHA loans require a three-year waiting period while VA loans require only a two-year waiting period. And while those two or three years might seem like a long time, it’s actually the perfect chance to rebuild your credit enough that you can afford a better home loan in the future. There is plenty of assistance available in Washington for anyone who’s looking for a bad credit home loan. 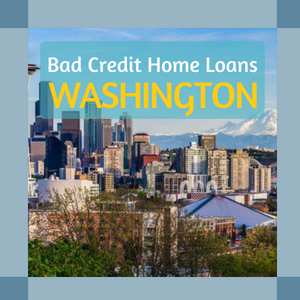 The WSHFC has a number of classes, seminars, and other resources available which are specifically targeted at first time home buyers in Washington with bad credit. HUD-approved counseling is another option which is offered by the federal government and which serves essentially the same purpose. The homestead tax credit is another resource available that can help make a property more affordable by letting you withhold a certain dollar amount or percentage of the value of a home you are currently living in from your property taxes. The state of Washington also requires you to have an annual income of $57,000 or less in order to apply for this tax credit. Fixing your credit is always possible, but it is often difficult, which is why we have suggested programs that allow you to secure a home now even while you still have bad credit. But there are two major techniques you can use to repair your credit. The first step is to pay your bills on time every month, which if done consistently can have a huge positive impact on your credit score. This demonstrates that you are capable of making regular payments and that you are a sound financial investment. The other important step you can take to improve your credit score is to start paying off your existing debts – outstanding mortgages, auto loans, student loans, etc. This improves your credit score and lowers your debt-to-income ratio, both of which will increase your chances of being able to buy a house in Washington state with bad credit. Hopefully this article has been helpful. It may seem impossible, but you too can find a bad credit home loan in Washington state using one of these programs or resources. We believe that everyone can get a home loan and we know that you, dear reader, are no different.